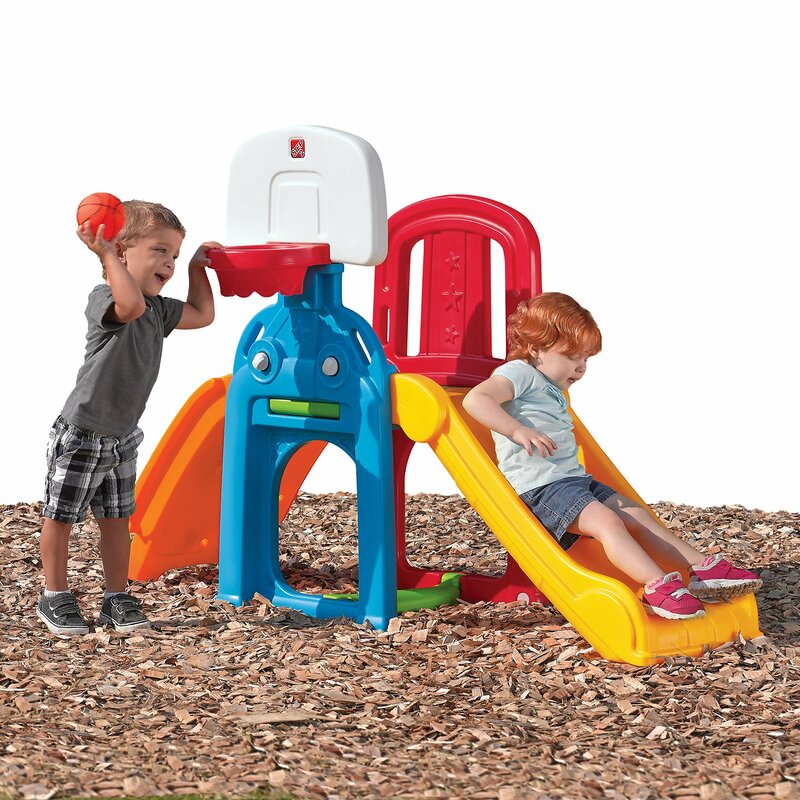 Tiny athletes are sure to have a blast with the Game Time Sports Climber byStep2. Climb, dunk, slide, kick and crawl with this outdoor climber! Kiddoscan shoot some hoops with the built-in basket, kick a goal through the crawlthrough space and tally up the points with the score board. Youngsters willdevelop their gross motor skills by climbing up the ladder and sliding downthe slide. The active play fun never ends with the Game Time Sports Climber!.